Practice Area: Extensive. One of the best in town, though pricey. Grass tees, fairway and greenside practice bunkers. Private practice area for professional lessons and the Dana Rader Golf School. 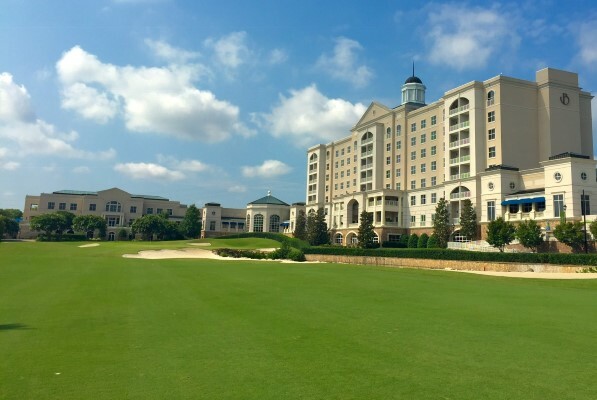 Description: This course was formerly known as Ballantyne Resort and is now associated with the Ballantyne Hotel and Lodge located off I-485 in south Charlotte. It is kept in great shape and offers plenty of challenge for a variety of golfers. The course is also home to the acclaimed Dana Rader Golf School. In the fall of 2009, new Champion Ultra Dwarf bermuda grass greens were installed. The new greens should keep the course in prime condition throughout the year, with little downtime for maintenance. Also, in 2011, the 2nd and 8th holes were redone to improve play and allow for additional construction on the resort property. B-Man's Take: This course is the only true resort course in Charlotte and you get what you pay for. The service and amenities are topnotch. I try to splurge and play here once or twice a year. You should be treated well, starting with bag service, then checking in at the luxurious clubhouse, then with practice balls on the spacious driving range and putting area. The course can be fun to play too, with 4 par 5's and 5 par 3's on a par-71 layout. The par 5's are all reachable with 2 good shots. My favorite hole is probably the closing hole, a challenging dogleg left 420yd par 4. You have a risk/reward tee shot over a creek to try and cut off as much of the dogleg as you dare. Then you have a mid-iron approach with water and bunkers protecting the green. And to top it off, the green is in full view of the Lodge, which means you usually have an audience watching from their balconies as you play the hole. There are several difficult holes, including the 430yd par 4 6th hole, which requires a precise tee shot to avoid OB on the left and the 5th fairway on the right. The approach shot is difficult too with a cavernous bunker guarding the front of the green. Overall, the new Champion Ultra Dwarf greens are some of the best in Charlotte and have increased the difficulty of the course with their speed and slope.